We come roaring… well, stumbling, back with 2/3rds of The Flop House crew, plus Spanish-language podcasting superstar Federico Hatoum. 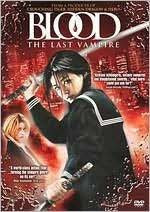 And the good news is, we’ve returned in time for Shocktober, with the incorrectly-named Blood: The Last Vampire. Meanwhile, Elliott and Dan engage in a competition as to who can get divorced first, and Fed beguiles us with the beauty of his native tongue. 0:00 – 0:37 – Introduction and SHOCKTOBER theme. 0:38 – 8:47 – We spend nearly ten minutes introducing our special guest Federico Hatoum, and explaining why we’ve been M.I.A. for over a month. 34:37 – 47:54 – PLUGS! which eventually devolve into a series of mouth-sounds. 47:55 – 58:52 – The sad bastards recommend. 58:53 – 1:00:12 – Goodbyes, theme, and outtakes. Listen to guest host Fed Hatoum’s hit Spanish-language Mac podcast PuroMac… if you speak Spanish. And like Apple products. Elliott screens The Black Cat as part of his series “Closely Watched Films” at 92Y Tribeca, 200 Hudson St., Manhattan, on Wednesday, October 6 at 7:30 PM. Dan’s screenplay (well, 20 pages of it) gets a staged reading by professional actors, along with an excerpt from another “hot screenplay” (as the press release puts it), courtesy of the WGA East, on Monday, October 18 at 7:30 PM at the JCC in Manhattan, 334 Amsterdam Ave, at 76th St.